Try harder baby, you will master it, a fan tells Desire.. 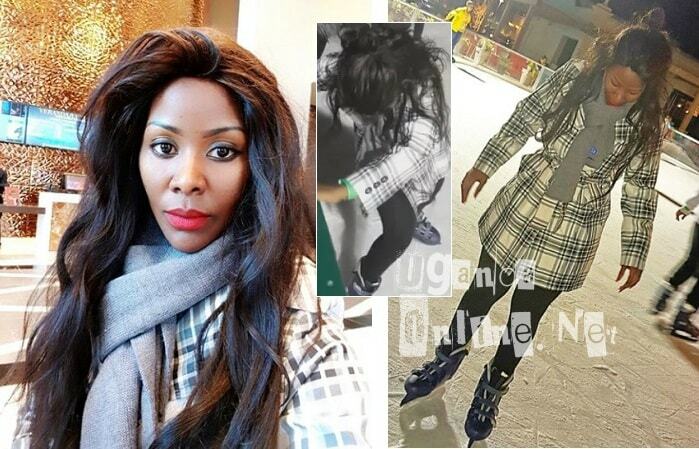 It's about three weeks when the Kitone singer, Desire Luzinda, left the country with her daughter for a short holiday in abroad and so far, it's not treating her so bad going by her beautiful glowing face. She explored all attractions there, including ice skating that almost left her nursing a broken limb. 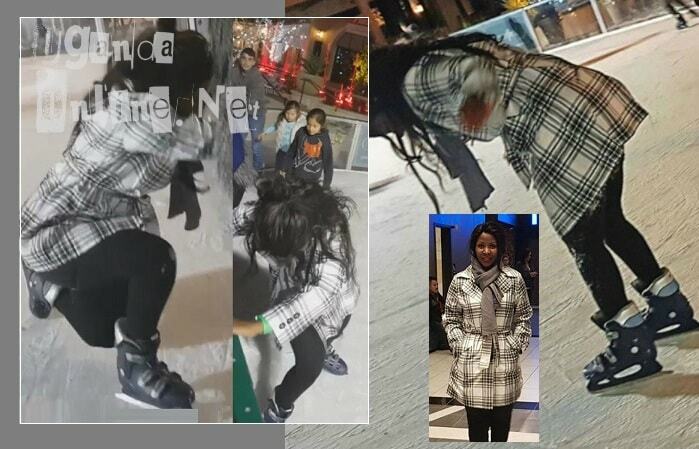 The mom of one gave her newly found sport a try and actually had a couple of falls before taking rest to nurse the mild injuries she sustained. "What is fun without falling," Desire captioned the short clip she shared with her 14,000 plus followers. "Hahaha, try harder baby you will master it..."
"You can't learn Ice skating without falling! keep going." "Desire, keep it up, that was me on my first time." "Just when I'm watching winter Olympics, then Desire."